Proudly serving Southwest Houston, Fresno, Missouri City, Pecan Grove, Richmond, Rosenberg, Stafford, and Sugar Land for 10 years! 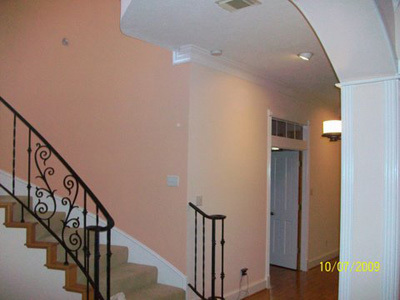 At Southern Painting, our Houston painting contractors offer quality workmanship and exceptional service in residential and commercial painting services for all of Southwest Houston. We are dedicated to providing the highest quality and most reliable carpentry and painting services for your interior and exterior home improvement projects. Our painting contractors in Houston are skilled in custom painting, staining, drywall, drywall repair, woodwork repair, and more. When we provide you with a complimentary estimate for the services you require, we will also help you thoroughly understand the scope of your project. 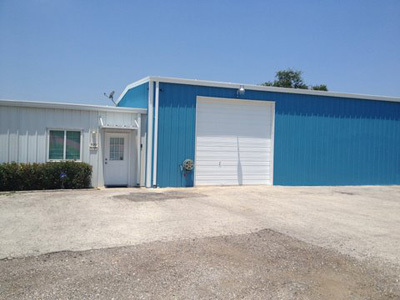 You can rely on our years of painting expertise and workmanship during each part of the repair and/or painting process. Our professionals treat you, your property, and your belongings with the utmost care and respect. 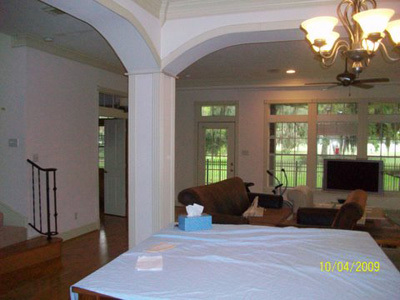 We take care to complete jobs properly, within budget, and on time so your home improvement projects will be a success. These are the qualities that make us the most sought-after interior and exterior painting contractors in Southwest Houston, TX. 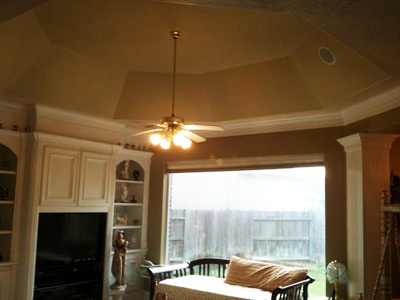 At Southern Painting, we are so much more than Houston painting contractors; we are also effective repair professionals and knowledgeable color specialists. Whether you want to freshen up your exterior to add curb appeal or spruce up the interior to update your décor, our painting services and skilled craftsmen will get the project done right. 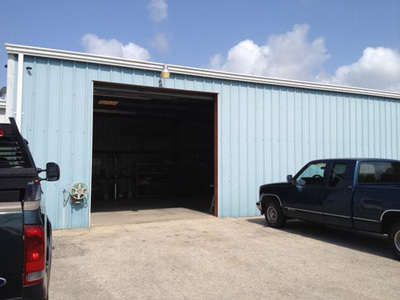 We know that the hot Houston weather combined with the Texas sun means exposure to UV rays that cause paint to fade, chalk, and lose its original tint. That’s why we will help you not only select a good paint color, but also the right type of paint for your job. The Houston humidity and rain can also present potential problems with your painted exterior wood surfaces. Our knowledgeable crew can offer valuable advice on selecting a permeable or breathable latex paint that will allow moisture to vaporize and escape before it can damage the wood fibers. 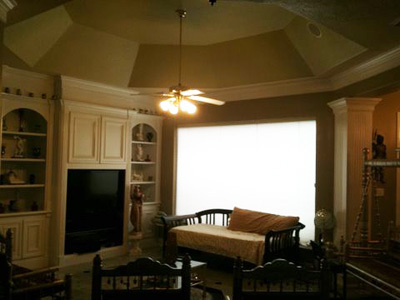 Our familiarity with the area is just another reason to trust Southern Painting over other painting contractors in Southwest Houston. Customer satisfaction is important to us; that’s why we keep our promise to deliver what each customer wants throughout the entire painting process, from providing an accurate estimate at the beginning of the project to cautiously cleaning up the work area at the end. Contact us today to request a complimentary, written estimate for your project! For interior and exterior painting contractors in Southwest Houston, TX, call Southern Painting at (713)-594-5862 to request a complimentary estimate! If you prefer, take a moment to fill out our contact form and we will promptly respond. In a word, Fantastic! From your thoughtful calling, emailing, and showing up as promised, to the excellent paint job now protecting our home, thank you. We would like to commend the extreme professionalism, care, and understanding displayed by the Southern Painting crew while doing a recent job in our house. Bill Cook especially took time to help us with our color scheme, and took it in stride and with great humor when we changed our color scheme at the last moment.